Detail: Tickets Now On Sale: $52.00 /$41.00 /$29.00 / Pit tickets $91.00 Multi-platinum Red Bow recording artist Joe Nichols is one of Country music’s most praised traditional Country artists. His latest album NEVER GETS OLD is available now and features his new single “Billy Graham’s Bible,” which hits Country radio on May 29. Nichols’ album CRICKETS debuted in the Top 3 on the Billboard Country Albums Chart and spawned the two multi-week Number 1, RIAA gold-certified hits “Yeah” and “Sunny and 75.” Nichols has six Number 1 hits and eight Top 10 singles to his credit, including chart-toppers like “Brokenheartsville,” “Tequila Makes Her Clothes Fall Off,” and “Gimmie That Girl,” and Top 10 smashes like “The Impossible,” “If Nobody Believed In You,” “What’s A Guy Gotta Do,” “Size Matters,” and “I’ll Wait For You.” The four-time Grammy nominee is the winner of the Academy of Country Music’s “Top New Male Vocalist” award, the CMT “Breakthrough Video of the Year” award and the prestigious “Horizon Award” from the Country Music Association. Detail: On Saturday, April 20th, First Presbyterian Church Student Ministries is hosting a Bunny Breakfast. We invite children from preschool to 5th grade and their families to come out and enjoy a morning of fun! We will have a pancake breakfast, crafts, games, and of course an EGG hunt! This is open to everyone and hope you will join us! If you plan on attending, please RSVP by calling the church office at 740. 373. 1800 Hope to see you all there! 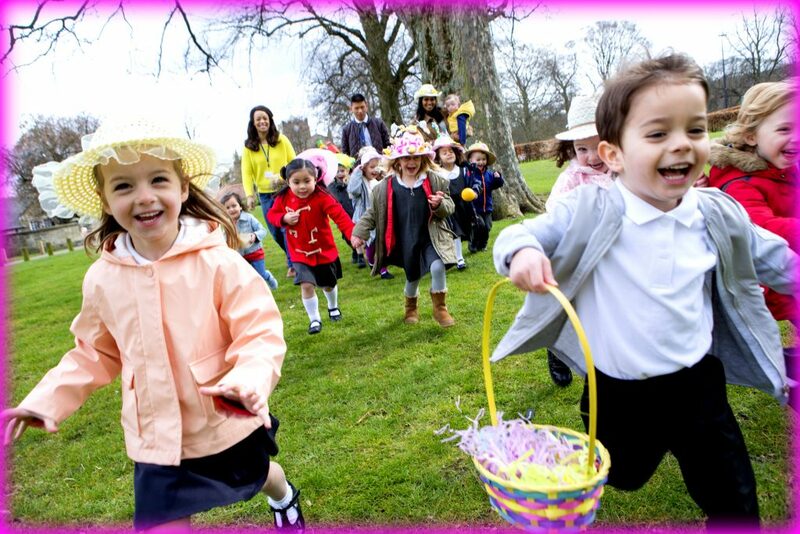 Detail: Put the Easter bonnet or tie on your little angel, and grab their basket and join us at the Devola Playground for our annual Easter Egg Hunt! Kiddos through elementary school encouraged to join us! If you would like to donate prewrapped candy , please message us here, or bring to 106 Deerwalk Circle or 221 Masonic Park Road. We will need all candy donations by Thursday, March 29. Detail: We will be having the first part of our regular 3rd Saturday class outside for the Earthday celebration. 11:45 to 12:30. Then we will meet at the Unitarian Universalist church from 1-3 for an hour of class. Detail: Easter Egg Hunt on Saturday, April 20 at 10:00 a.m. in Inman-Liberty Park in Warren Township (behind Tunnel UMC which is behind the Warren Volunteer Fire Department). Four age groups from Toddlers to 6th Graders. Refreshments and activities afterwards in Tunnel UMC’s Multi-Purpose Building. The Egg Hunt will be held inside if the weather is bad. Detail: Join with us for a Pathway service unlike ANY other. Our church service will be moving to Marietta Middle School, where we will be holding one GIANT service! Immediately following the service, a helicopter will drop 10,000 eggs on the football field for the children to enjoy! Parking will be in the Frontier Shopping Plaza, and busing will be provided to transport you and your family up to the middle school. Check-In: 9:30AM Easter Service: 10AM Helicopter Egg Drop: 11:30AM Please register at pathwaymarietta.com/events. See you then!